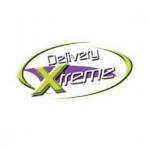 Delivery Xtreme offers clients restaurant meals served at home. The company has 21 branches located throughout Gauteng, the Western Cape and KZN. For Delivery Xtreme, PayGenius developed a flexible solution meeting the needs of the food-delivery sector: last-minute change of order, extra petrol costs, or orders canceled. Our ‘Authorization’ feature allow the restaurants to reserve the funds on the Credit Card of their customers. Once the food delivered and eventual extra-fees identified, the managers can process in 1-click to the final payment – increased by fees if needed. Funds are reserved until Midnight and are then automatically switched. This feature enables people to modify the request before hand.